The Deluxe Diffuser Gift Set is the ultimate flameless fragrance distribution system. It includes not only a timelessly classic diffusing vase with bamboo reeds, but also 2 USB diffusers that redefine the confines of portable fragrance. The vase elegantly distributes your favorite scents subtly as they travel up the bamboo reeds and into the air, while the USB diffusers use heat to provide powerful personal fragrance in a matter of minutes. 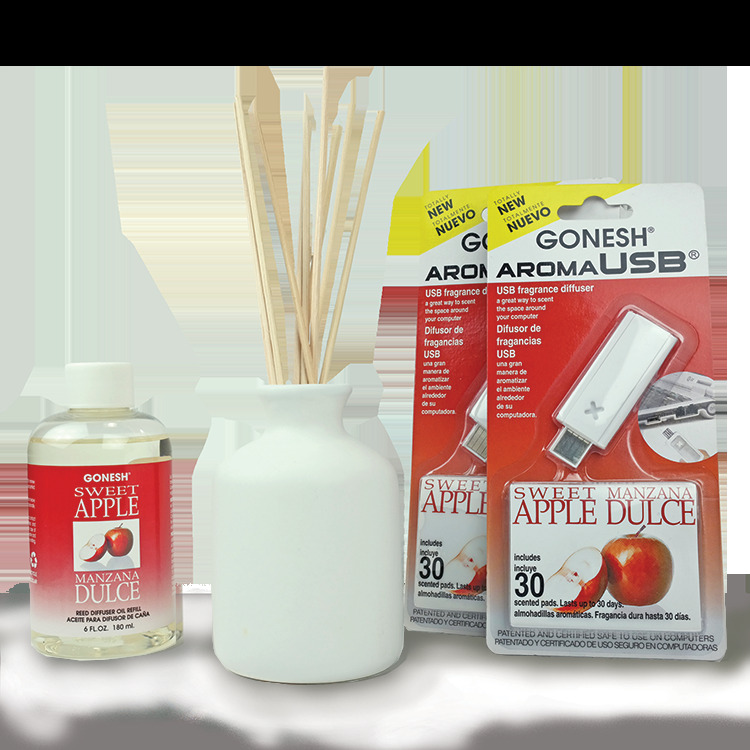 This gift set is ideal for those living and working in flame-free environments, such as dorm rooms, offices, and homes with small children. Each gift set includes a ceramic diffusing vase with 8 bamboo reeds and 80 ml of fragrance oil, 2 USB diffusers with 30 scented pads each and a 6oz refill diffuser oil. They are packed in a reusable Gonesh tote – perfect for a lunch bag.